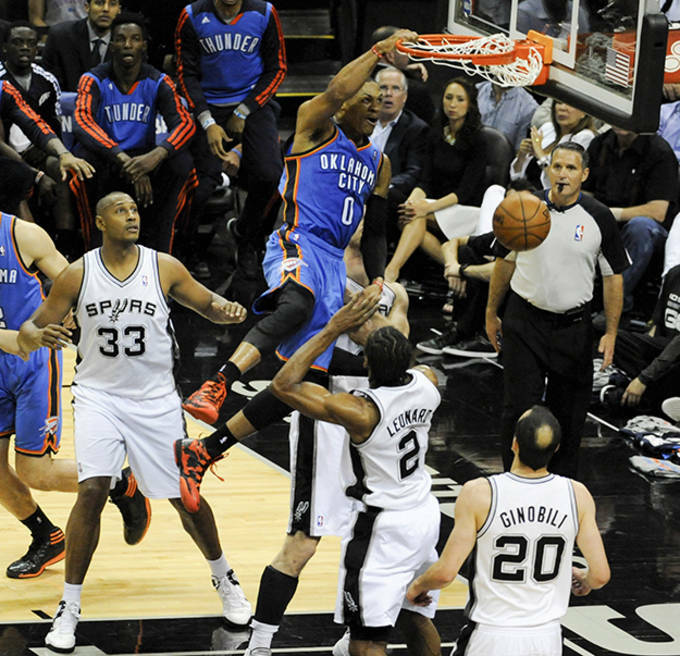 The Oklahoma City Thunder got off to a good start early on in Game Five of their Western Conference Finals matchup with the San Antonio Spurs. 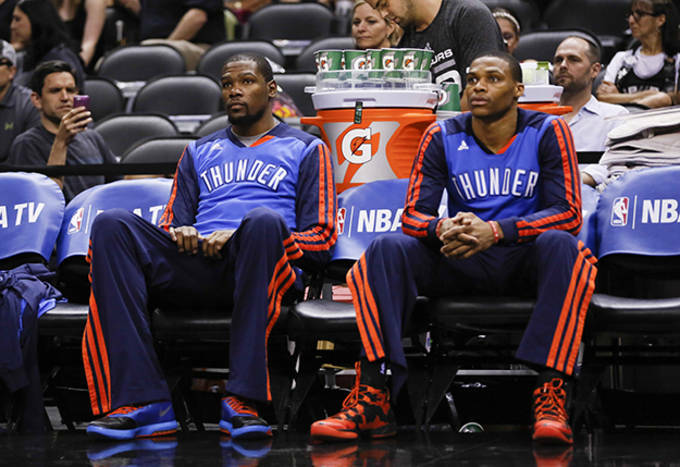 Unfortunately, the Thunder lost but they can still look at the positive beginning. 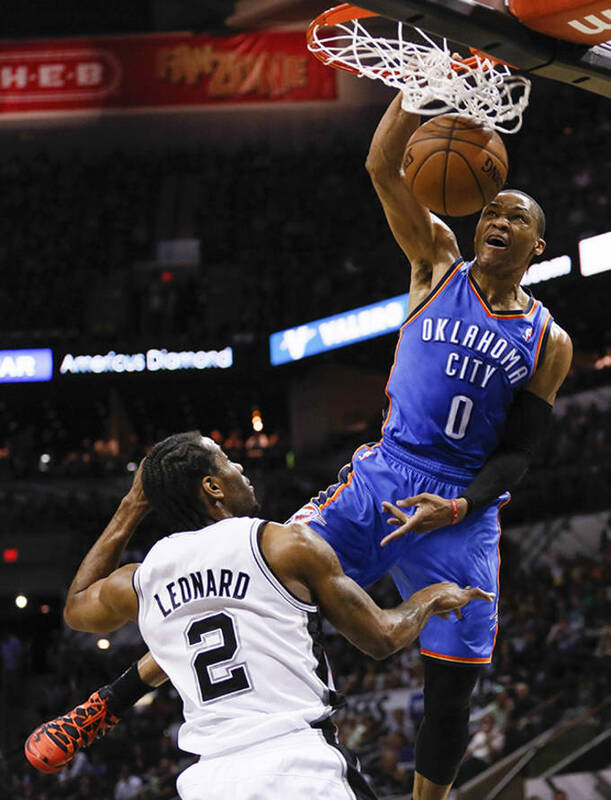 Russell Westbrook drove by Kawhi Leonard and threw down a nasty stuff over multiple Spurs defenders early on. 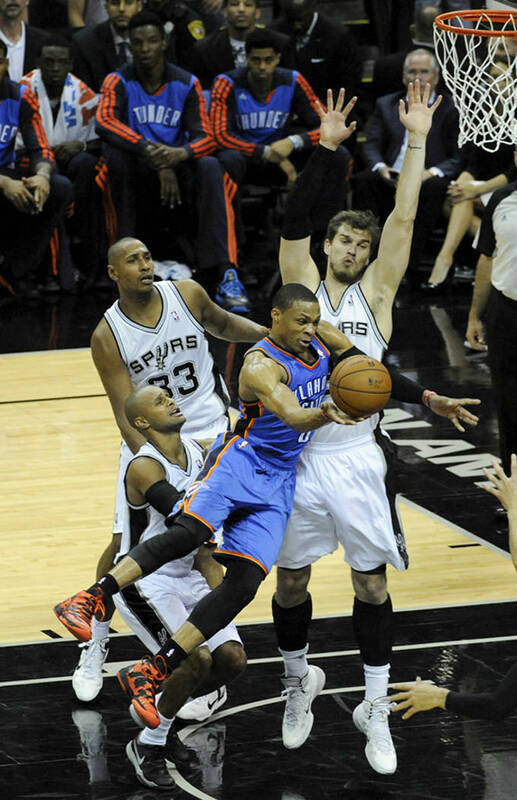 Despite losing 117-89 against San Antonio, Westbrook put on a solid individual performance. 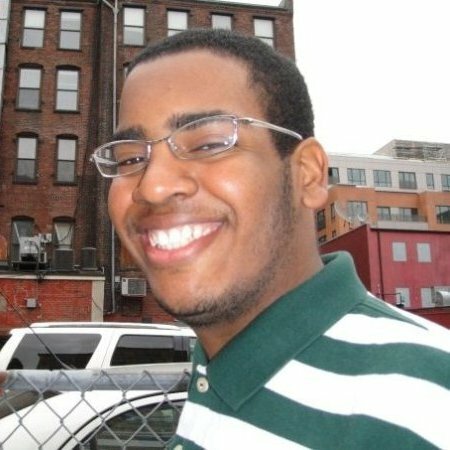 He finished with 21 points, 4 rebounds, 7 assists, and 3 steals. 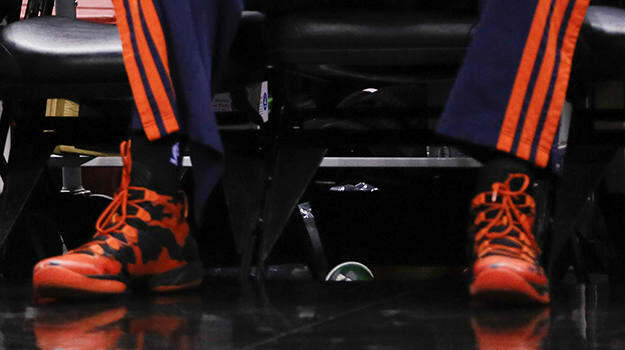 After wearing the Jordan XX9 during Games Three and Four, Westbrook went back to the orange and black camo PE of the Jordan XX8 SE that he&apos;s worn throughout the entire season.